The 31-year-old centre-back left Juventus in 2017 in order to join rivals AC Milan before arranging a return to the Bianconeri in August this year, despite there being interest from Manchester United. “Basically there have been some possibilities both with Manchester City and with Manchester United,” Bonucci told The Telegraph. “With Manchester City when I received that offer (in 2016) I actually talked to the club, I talked to Juventus and we decided that it was good for me to stay and to keep on winning with Juventus. 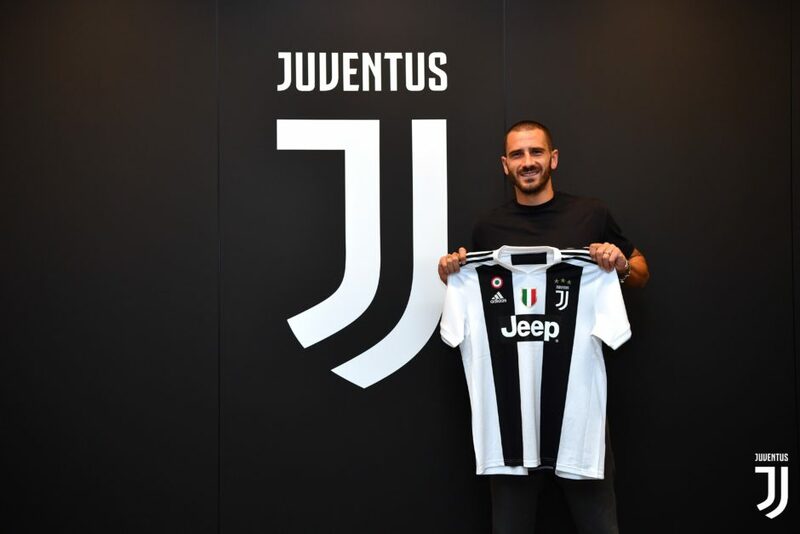 “And this year when I was told there was a possibility to go back home, to come back to Juventus I just stopped listening to any other offers and I decided to come back here. “So there was an offer from United at the end of last season? Yes. But there was no chance of you going there once Juventus were interested? No. “I feel at home. Here I really do my best, I just push myself to the maximum and that’s something at Milan I really didn’t manage. “I didn’t succeed to achieve and that was probably because in my heart I had already made the decision that I wanted to go back home. “The decision was not made until June but it’s true that I had this feeling inside me. So when my agent told me there was a tangible opportunity to go back I just stopped listening to anyone telling me what to do. “I stopped listening to any kind of suggestion and I just said ‘OK, let’s go home’. “Why did I leave? At that time I made a decision driven by pride and I was upset by a specific situation. “And so I was not myself any more and I decided to leave. Then with the passing of time I realised that I had probably had the wrong attitude and so those expectations that I believed were not met, well it was not actually like that. So I changed my mind. “It was obviously a tough decision because not everybody would have accepted to come back and to admit a mistake like I did. “I was also lucky because I was made welcome and accepted again by our President, by our Coach and by the whole dressing room. “So I decided that I had to run this risk because it was worth taking and overcoming all the possible hurdles with the support of my family and with Juventus itself. And that is what happened in the end. “I wanted to clarify and better explain the reasons that were behind the decision because they had told me they had not understood why I had wanted to leave. “I told them that I probably could have been less proud at that time and, I confess, I probably had the wrong approach, the wrong attitude. “Certainly the supporters were probably the most sceptical of all because they felt betrayed by my decision. “But I am really trying to do my best both on and off the pitch and to prove, to really demonstrate that being a player at Juventus is not just about wearing this jersey.